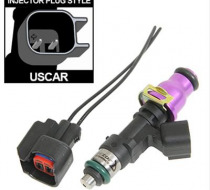 Trick Flow® by Injector Dynamics fuel injectors are ideal for extreme demand, severe race duty applications. 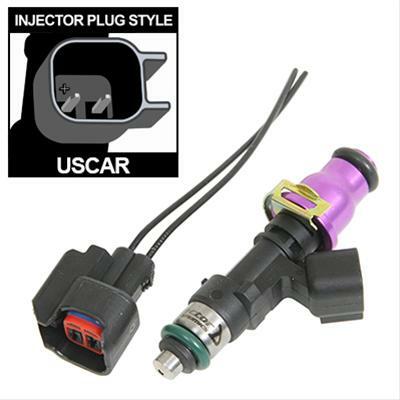 These injectors are batch-tested and carefully matched into sets based on their dynamic fuel flow for vastly superior cylinder-to-cylinder consistency, even at very low pulsewidths. To ensure air/fuel ratios remain consistent as atmospheric or voltage conditions change, the dead time compensation values are provided in native Ford formats for proper ECU tuning. All flow values are at 3 bar (43.5 psi). Injector Advertised Flow Rate (lbs/hr): 95 lbs./hr. Overall Height (in): 2.680 in. Seat to Seat Height (in): 2.360 in. Fuel Rail O-Ring Outside Diameter (in): 0.550 in.